Often, I find myself wondering how I can diffuse these moments in my own life. It’s difficult, and my first instinct is to rage at the opposing party, to give in to the anger spoon-fed to me by corporate media and play my part in furthering the gap. When I take a step back and think about those actions for a few moments, the animosity welling up inside pains me. This isn’t me. This isn’t who I am. And that perceived animal I wanted to tear apart? That isn’t who they are either. They’re enveloped in the same divisive game, serving the same cruel purpose. When I stop and gift myself these moments to find some sense of unity, I often realize a bridge can be built through seemingly silly means — movies, TV, novels, music. I can’t begin to tell you how many times I’ve forged bridges with Star Trek, let alone how many times I’ve used it to convey personal politics to another. We may disagree on stats, but humanity is more often found buried within the things that touch our hearts and that we’re nostalgic for. But we’re not here to talk about me. We’re here to talk about this month’s orphan. 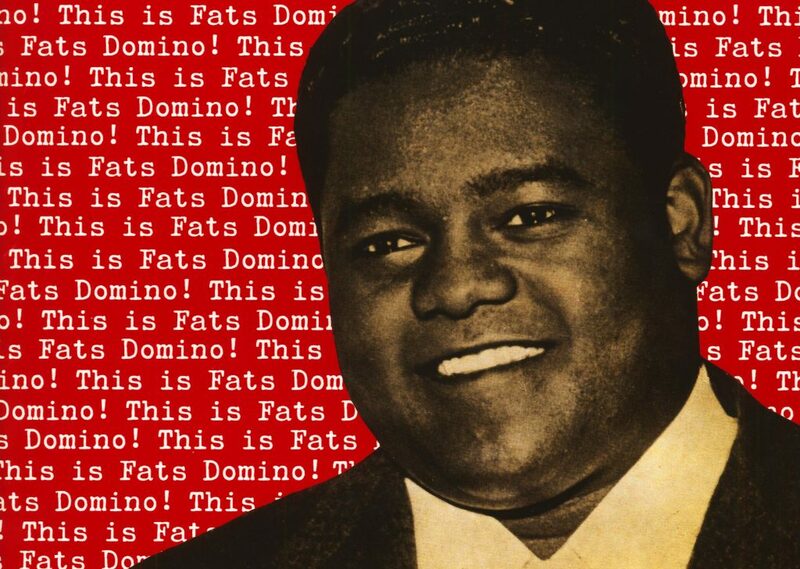 Antoine “Fats” Domino Jr. was a pianist and singer/songwriter from one of America’s hearts of music — The Big Easy. At the age of 14, he was already playing bars in New Orleans, where he would quickly be hired on to play piano for a New Orleans bandleader by the name of Billy Diamond. Through Diamond, Fats Domino earned his nickname, and through this band, his career would propel into the annals of rock & roll history. Artists like John Lennon, Paul McCartney, Elvis Presley, and others would take inspiration from Fats Domino. 35 of his albums would make the Top 40 charts, and dozens of his songs would be covered across the globe. This shy, introverted artist from New Orleans made musical waves he couldn’t possibly fathom, uniting people of different cultural and ethnic backgrounds. Fats Domino’s biographer even credits his music as playing a major role in the breakdown of segregation in the 1960s. Why? Because the youth of two different racial backgrounds shared a love for his music. These rhythmic beats forged a bridge. They allowed people to come together and share something that resonated emotionally. When we think about it in the grand scheme of socio-political movements throughout history, the notion seems silly, but art has power. If I leave you with one message in my last letter as the editor in chief of Literary Orphans, let it be this one: art has power. Go out and make some music. Check out Literary Orphans Issue 37: Domino here! P.S. The magazine will continue. Our newest editor in chief will introduce themself next issue.